Sounds like Punxsutawney Phil is ready for Spring, are you? 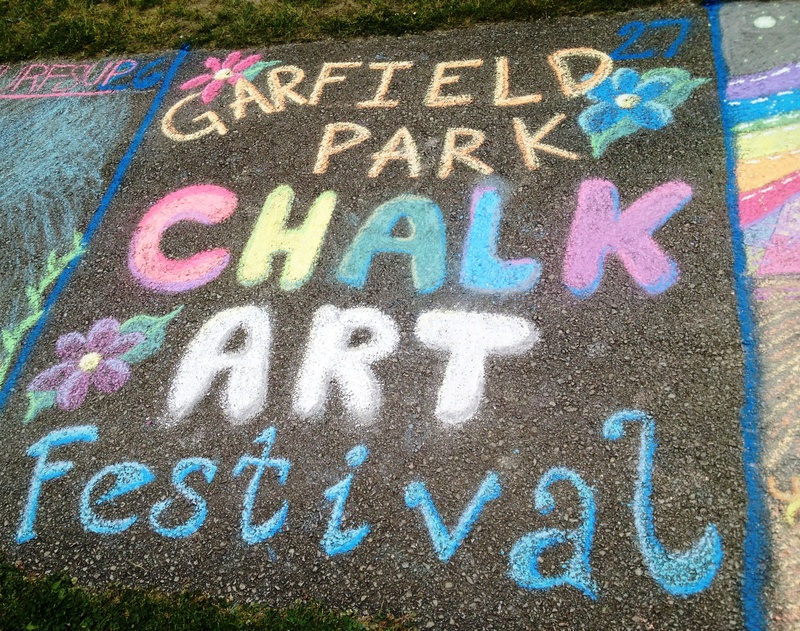 Sunny afternoons, picnics in the park, birds chirping… and the 2nd annual Chalk Art Festival and Competition! Yes, it’s back. Yes, it’s still free to register. Live music. Food vendors. Prizes. 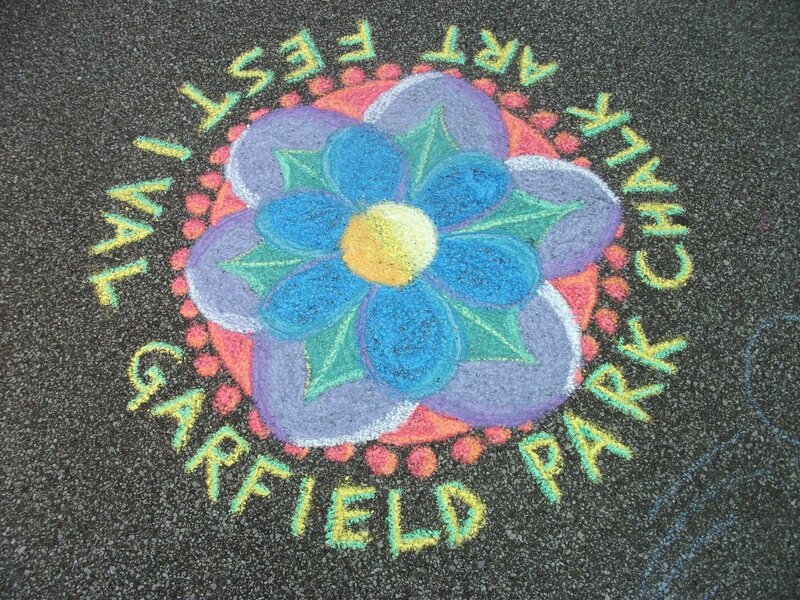 All located in beautiful Garfield Park on May 11. The festival is for all ages and all experience levels. 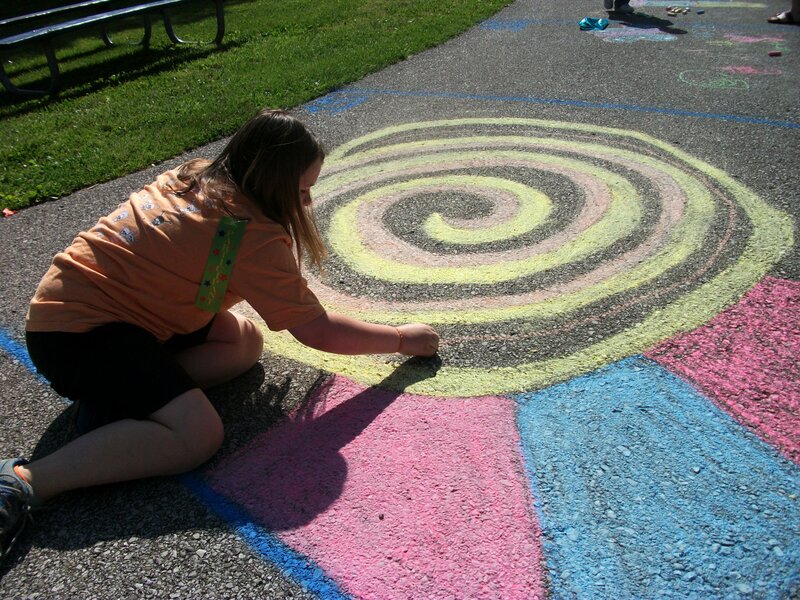 Bring your own chalk, or purchase a chalk kit for only $3. There is no rain date. 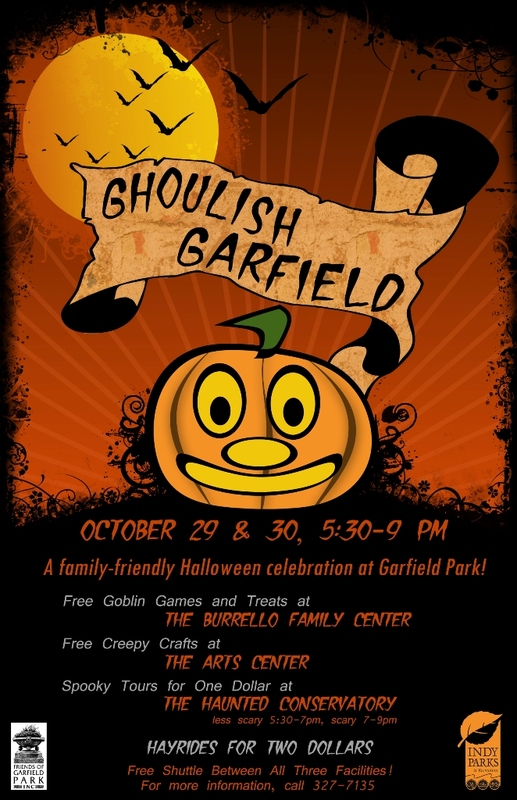 Register between 10:00 Am and 2:00PM at the Garfield Park Arts Center (GPAC). Work to be judged must be completed by 3:00PM. Keep drawing for fun and enjoy live music from 3:00PM – 4:00PM. Awards will be given at 4:00PM (must be present to win). View 2012 winners here. So clear your schedule for Mother’s Day weekend… you won’t want to miss this awesome event! 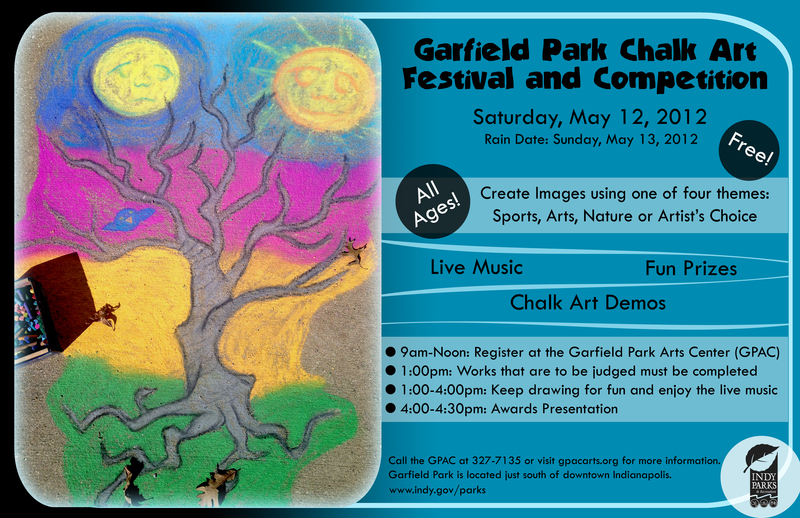 Will you be coming out to participate in our Chalk Festival and Competition on Saturday, May 12? Great! When you arrive, please make sure to register at the GPAC. A space will be assigned to you and you will get a ribbon to wear. 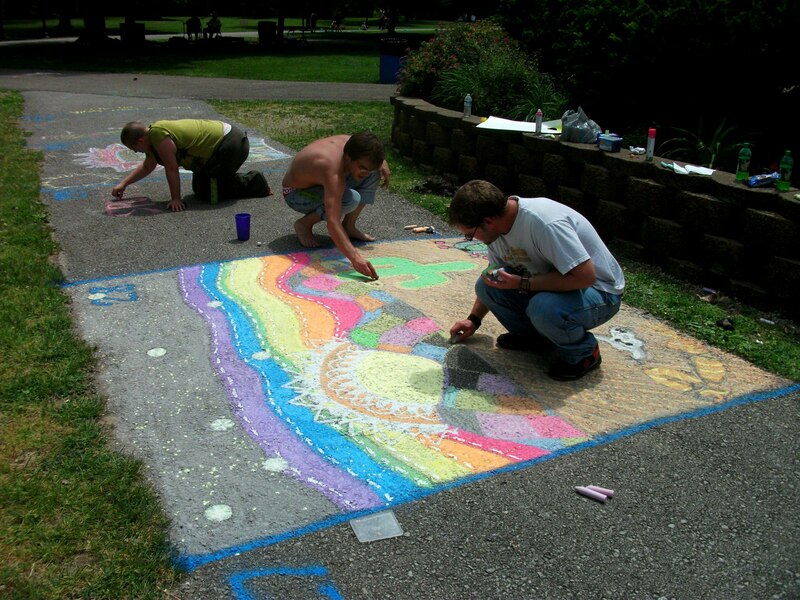 Chalk kits can be purchased at the table as well, or if you bring your own chalk, you will be free to start creating your masterpiece! 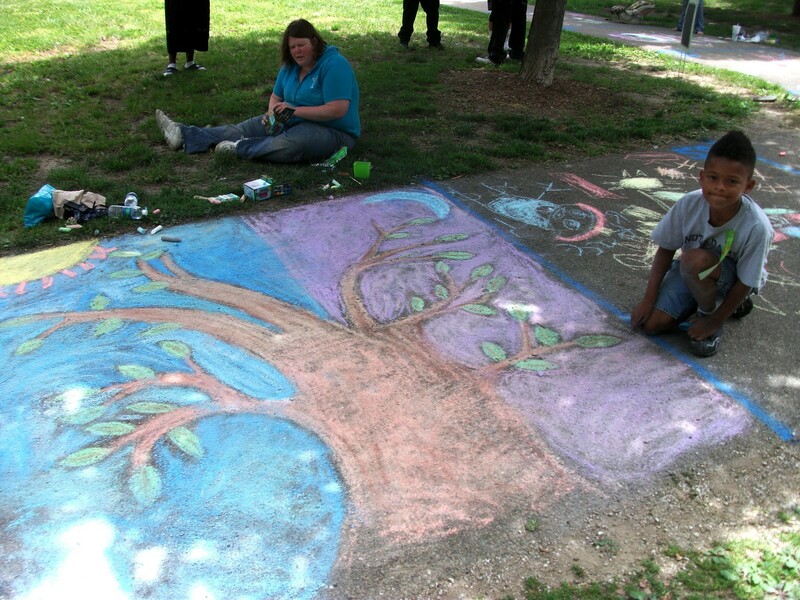 Registration is from 9am – Noon; Chose from one of four fun themes: Sports, Arts, Nature, and Artist’s Choice. Artwork must be completed by 1pm for judging. Space will be provided for anyone who would like to draw for fun. Demo artists will be on hand during the whole day–see what they are creating and ask questions! 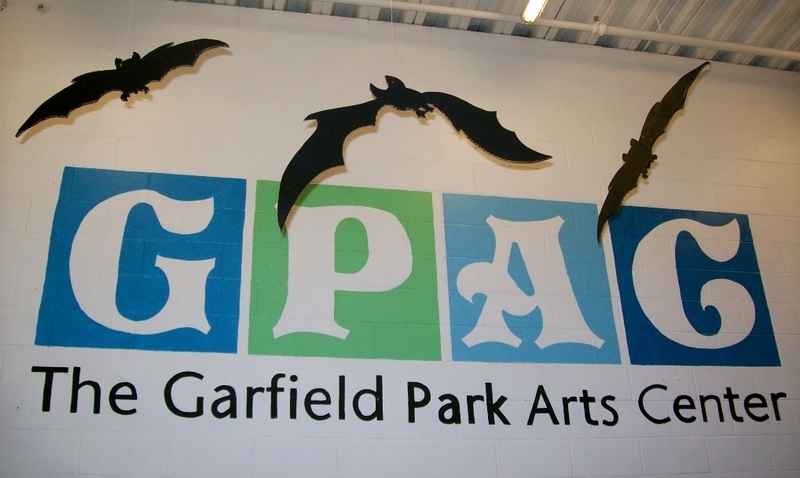 Winter and spring in Indiana can be unpredictable and crazy, but when the weather outside is frightful, you can count on the Garfield Park Arts Center to provide indoor entertainment. In addition to our free exhibits, meetings, events, and Arts For All programs, we offer many classes for all ages. Why not register for a class to keep this season fun? If you are interested in a class, call us at 327-7135 for more details. When you are ready to register, you can do so online via Indy Parks, on the phone with us (327-7135) or through customer service (327-PARK), or in person at the GPAC. Please register in advance! Visit us on Facebook and Twitter to find up to the minute happenings for classes and programs. Bring your youngest artists in their messiest art clothes and leave the clean-up to us. Preschoolers play with paint, dabble in drawing, create with clay and so much more. Parents are welcome to work with their child. Be prepared to get very messy each week in this dynamic art class. Instructor Tom Leavitt says, ‘I truly believe that and if you join me, I’ll prove it to you during the course of this class.’ Learn about composition, line, form and perspective. Pencils (charcoal and graphite) and vine charcoal will be used. All materials will be provided.